Qualification: Degree / Diploma in Siddha of Min. 4 yrs. duration from a recognised university. 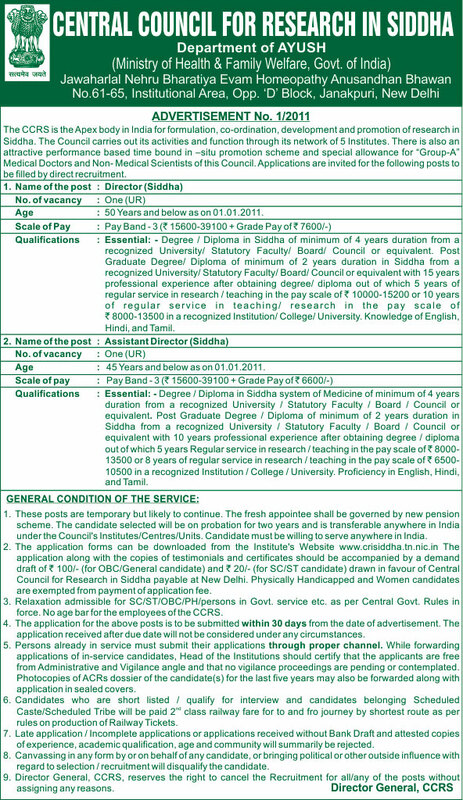 Post Graduate Degree / Diploma of minimum 2 years duration. Within 30 days from the date of Advt.